Within the Nova Education Trust, each member school has its own Board of Governors. Here at Toot Hill School, our Governing Body is made up of a group of enthusiastic and active volunteers with a wide breadth of experience and expertise. Our role is to actively support and advise the School’s Leadership Team and members of the staff, with the emphasis on the word “actively”. 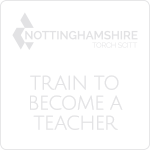 We endeavour to support the overall effectiveness of the Leadership and Management Team thereby helping to improve the quality of teaching and learning within the school. We take a direct interest in the opportunities that the school offer to help students’ education and personal development, assisting it to enable positive outcomes. 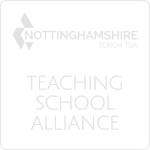 To this end, we have termly meetings where we discuss issues covering the full range of the school’s organisation and activities including the introduction of new policies and the development and implementation of existing ones. Another important function is to monitor the progress made against the School’s Development Plan. This is presented to us by The Head of School at the beginning of each academic year with updates and progress reports every term. In addition to these formal meetings and as an important part of our own Development Plan, we meet together every half term at Governor Training and Development Evenings. 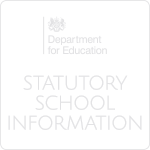 These enable us to keep up to date with both national and school policies. On one day every half term the Chair of Governors plus other governors who are available join The Head on a “climate tour” of the school. This enables us to see the School on a working day and to judge for ourselves the working atmosphere. I have to say that it never fails to impress. Other governor-meetings are arranged as required. At least one governor is always present at interviews for appointing new staff and we carefully monitor the staffing within the school in conjunction with the relevant Heads of Departments and the Head of School. Each governor is allocated one or two subject areas in which they take a special interest together with a particular year group and one other area of responsibility and interest. Governors aim to visit each of these areas at least twice per academic year keeping up-to date with the progress and development within the school. After each visit, the governor concerned reports back on the visit and this report is circulated to the Head of School, all the members of the Governing Body and to any other staff concerned. Areas where the governor feels action needs to be taken is highlighted in the report. However, we do not take on the role of inspectors. We are there to offer support and encouragement rather than to criticise in a negative way. As governors, we are really concerned with strategic issues within the school rather than the day-to-day running of the school. However, we feel that it is important that we come into school as often as possible to get a real feel of the school, to get to know how it works and to be seen by the staff and pupils so they know who we are and what we are about. This strong relationship between the school and governors is very obvious at Toot Hill. Several of the governors are actively involved delivering useful activities within the school, including Public Speaking classes, Drama, University Interview Practice, Debating Society to name just a few. Another specific area where we are able to offer support is in the College (Yr12 and Yr13). By a combination of frequent visits to College, providing the opportunity for discussion and individual interview practice for all year 13 students and the setting up and continuous support of its student voice in the form of a very active Students’ Union, we strive to support the teaching staff to develop the effectiveness of the College. This helps to prepare the students for their individual pathways to their future careers be that Higher Education, an Apprenticeships or directly into the world of Employment. We feel that it is important that, as governors, we are seen to be supporting the staff, the pupils and the students in every aspect of school and college life. Whenever possible we will attend music evenings, art exhibitions, productions like West Side Story and Little Shop of Horrors at the Palace Theatre in Newark, Debating competitions, Dragons’ Den, Politics Day, Careers Events, Parent Forum, Achievement Evening, to name just a few of the successful events in which so many of our very talented pupils and students are involved. Toot Hill School has so much to offer its pupils and students. As Governors, we hope that our support and encouragement can help it to offer even more. If you wish to contact a governor, this should be done in the first instance by telephoning the school and asking to speak to the Clerk to the Governors who will deal with your request accordingly. Please download the latest Governors List March 2019) in PDF format. All Governors are contactable via the school (Telephone: 01949 875 550). Please download the Record of Governors Meetings 2017-2018.